I can not identify the cause. The picture is the one running Super Crate Buino with the same HEX. 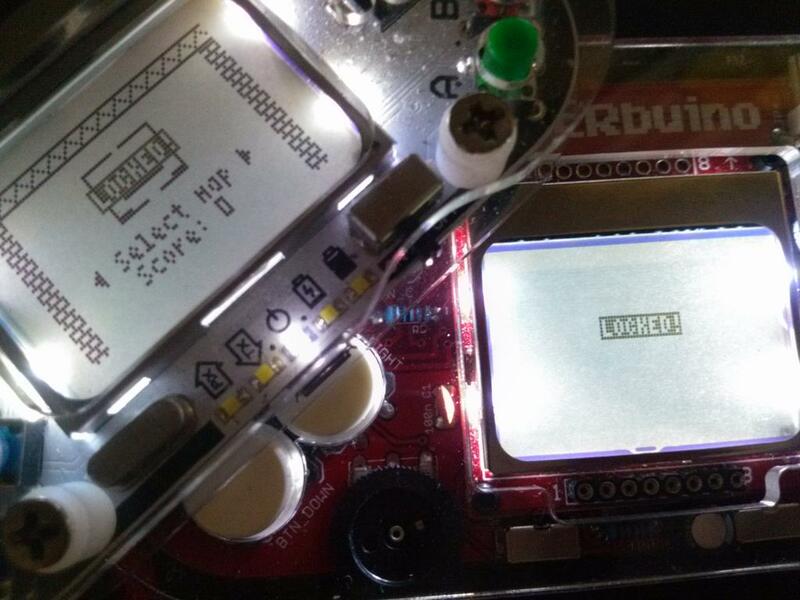 The behavior of gamebuino and MAKERbuino are different. This state continues until you reset the game or start the game after displaying the locked map once. That is, only letters are displayed on the screen. I think. This is related to the boot loader or the memory. Does anyone know the information on this issue?